COME TO THE U. K. AND WIN THEM! We already opened ENTRY for WBC. And this will be closed on July 27. This time, We need your ENTRY LIST, REGISTRATION FORM (accommodation & traffic) & WAIVER & RELEASE FORM. To complete entry, it is necessary to send these 3 documents before the deadline. Please do not forget! Any questions, ask to BIU or Jason please. We congratulate to new World's Champions! 1St BIU 2009 NORTH AMERICAN BIKETRIAL CHAMPIONSHIPS will be held on 14th and 15th of August, 2009 in Vancouver, Canada. There was also child corner with toys for little kids, but they mainly rode their bikes all around the Camp site. Night parties and live concerts were essential ingredient of Dressler Camp as well. Table football tournament took its part in this year's Dressler Camp afterparties to fulfil Dressler Camp's motto "Trial, Fun and Rock´n´roll". Saturday night raffle gained some money for Paracycling team Cerni kone and Cystic fibrosis foundation. As we can see the reactions and impressions of the participants, they loved Dressler Camp's atmosphere most. And the atmosphere was really great and friendly. Thanks to everyone for supporting Dressler Camp 009 and we want to meet you again next year in Tanvald. More event info at www.dressler.cz . The two camps are on the beach of Iseo Lake. A really beautiful place ! COME TO EC 2009 AND WIN IT! Why should you go to the EC in Darfo Boario Terme, Italy? You can meet with your BikeTrial friends and spend an enjoyable weekend with them. Compared with Bike Trial champions from other countries. You will compete in the event organized in a very good natural area, in the same zone of on the same rocks which will challenge the champions in motorcycle Trial during the Trial of Nations 2009. Visiting Italy with her endless tourist attractions. Visiting Darfo Boario Terme Park SPA or spend a day of great fun at the water park "AquaPlantet". Visit Valle Camonica and its famous stone carvings UNESCO World Heritage. 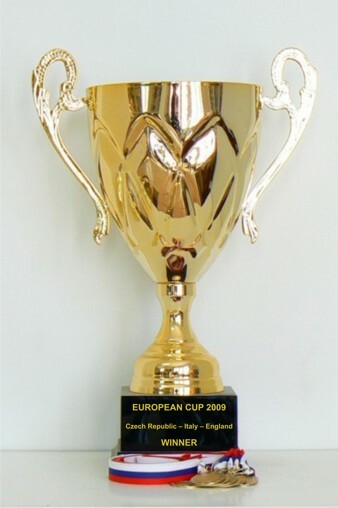 You will have good results in European Cup 2009 (Czech/Italy/UK) or possibly even, you will win the great cup, or Elite prize money. Contribute to the growth of BikeTrial in Italy. With your help back in Italy in an International event after many years. YOU CAN NOT MISS! The fee 25€ will not be. The riders will only have to pay the 10€ when they sign on. Why should you go to Brezova? You will compete in the event organized by the traditional and experienced Czech organizer and you can improve your skills in a very good natural area. If you support the organizer - you will support our lovely sport. You can visit very nice Czech cities like Sokolov, Karlovy Vary, Prague - there are many historical sites and interesting places to knowledge. You can try typical Czech cuisine and your parents or minders can try a very good Czech beer. You will gain in experiences. The European Cup is aimed at national level competitions and therefore a level below the European Championship. There will be a new format to the European Cup 2009. Three competitions will form part of a series where riders score points at each event. 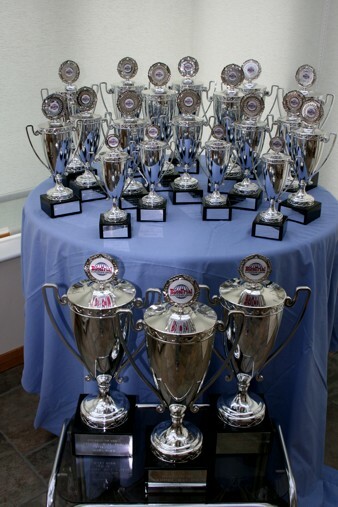 An overall 'European Cup Champion' in each category will be announced at the end of the final event. The sections will be aimed at no harder than national level for the organizing country. The riders will be able to ride a more difficult category than their official BIU category providing that the delegate for their country is in agreement and notifies the organisers. BIU Elite riders will have to compete in the Elite category. National classed Elite riders can compete in the Elite category at European Cup events. They will also have the option to drop down to the Senior/Junior categories. European Cup events are likely to also incorporate host nations` national championships. Riders from the host countries will therefore have to ride their national category in order to be classified for both the national and European Cup competitions. If they drop down from the Elite class then they will only be classified for the European Cup event. 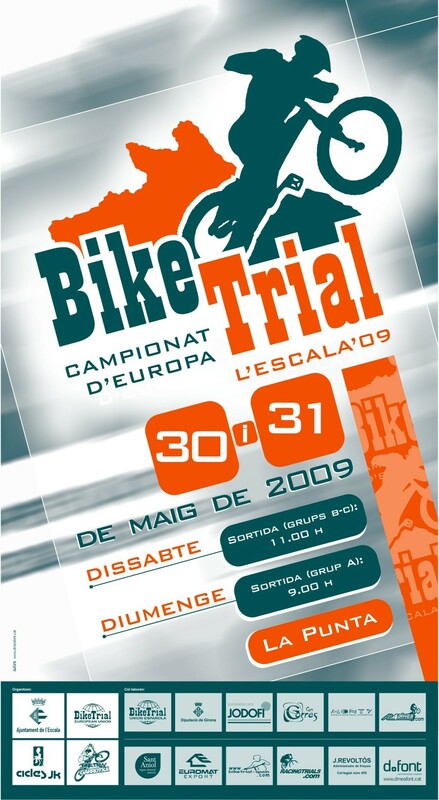 I hope that all members of the European BikeTrial Union will encourage their riders to support these events and we should have an exciting year of BikeTrial ahead.